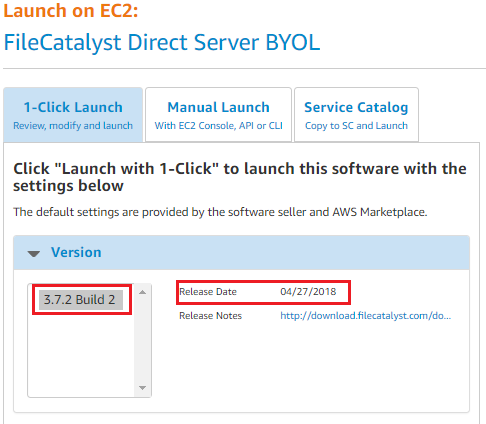 This guide will provide a quick walkthrough on launching your own FileCatalyst Server and licensing it on an Amazon EC2 instance. 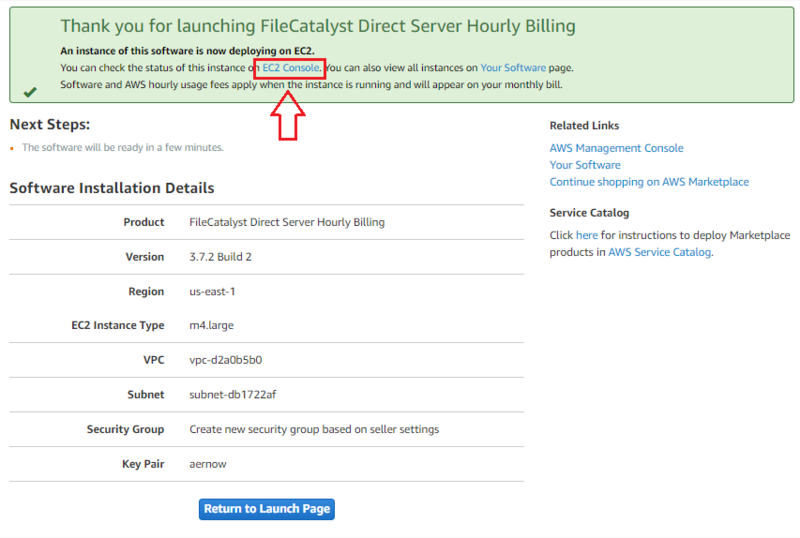 Launching FileCatalyst Server from the AWS Marketplace. Click Continue to Subscribe. You will need to sign into your AWS Account to continue. You have two options here. The one we are going to describe is the "1-Click Launch". The other one is the "Launch with EC2 Console" which takes you to the EC2 Console page where you can customize your instance. Choose the Region that you would like to use from the drop-down list. You will notice the warning in the EC2 Instance box has disappeared. 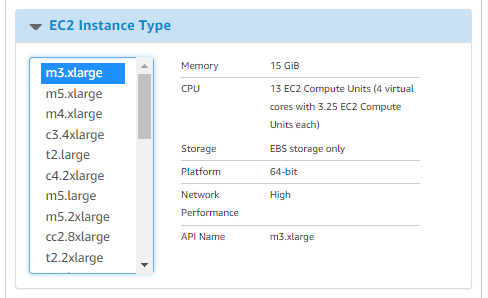 Choose the size of the EC2 instance you would like to spin up. When initially deploying the FileCatalyst Server, we strongly recommend that you use the preconfigured Security Group called "Create new based on seller settings". You will be able to modify these settings on your EC2 dashboard later. To connect to the Ubuntu machine you will need a KeyPair. If there is an existing KeyPair you would like to use select it from the drop-down list. When you are ready, scroll to the top of the page and click on the "Launch with 1-Click" button. You will be directed to a summary page. Click on the EC2 Console link to get access to your dashboard. From your EC2 dashboard, you will be able to see the instances that you have currently active. When the instance has completed set up (Status checks 2/2), select it and click on the "Connect" button at the top. 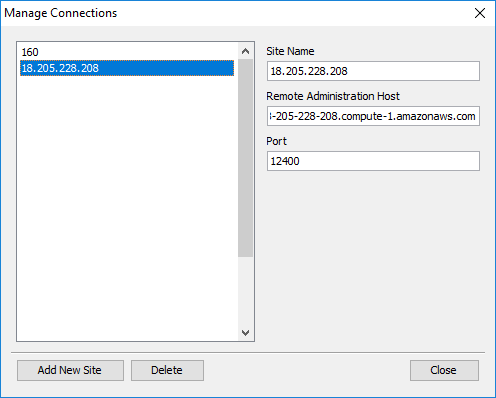 This will show you a pop up on how to connect to your instance using PuTTY. 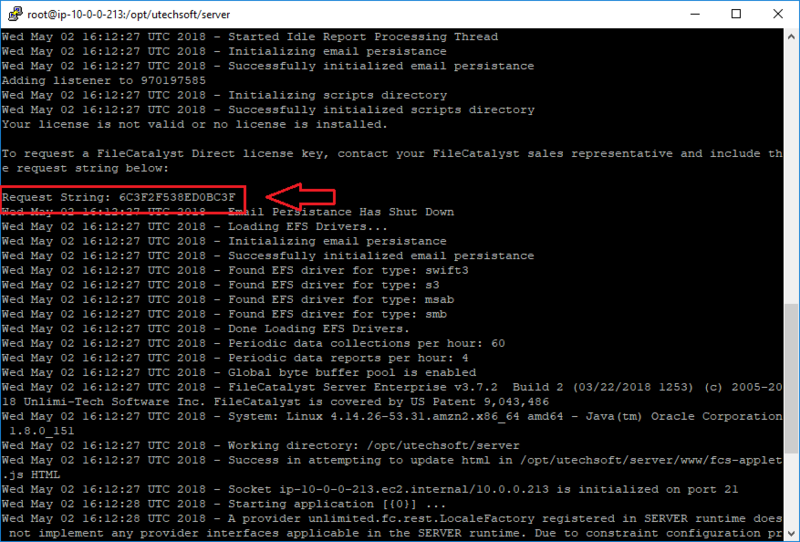 Once you are in the folder, you will need to stop the FileCatalyst Server service if it is running. Send the request string to your Sales Rep at FileCatalyst indicating what type of license you would like and how many concurrent connections you need. They will send you a key with the appropriate features enabled. Please copy and paste the Request String. Taking a screen capture of the request string may delay you getting a License key. Make sure your FileCatalyst Server is off before you proceed. You can run ps -ef | grep java in the terminal and make sure no instance is running. If you do see that there is an instance running please stop the application. 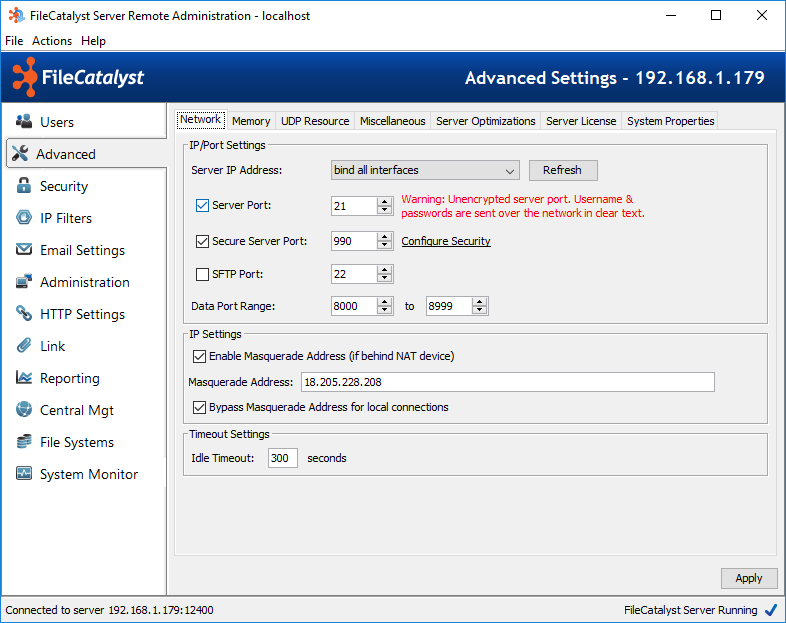 Open the Server Remote Admin Application. Select Advanced on the left-hand side. Check the box to Enable Masquerade Address. 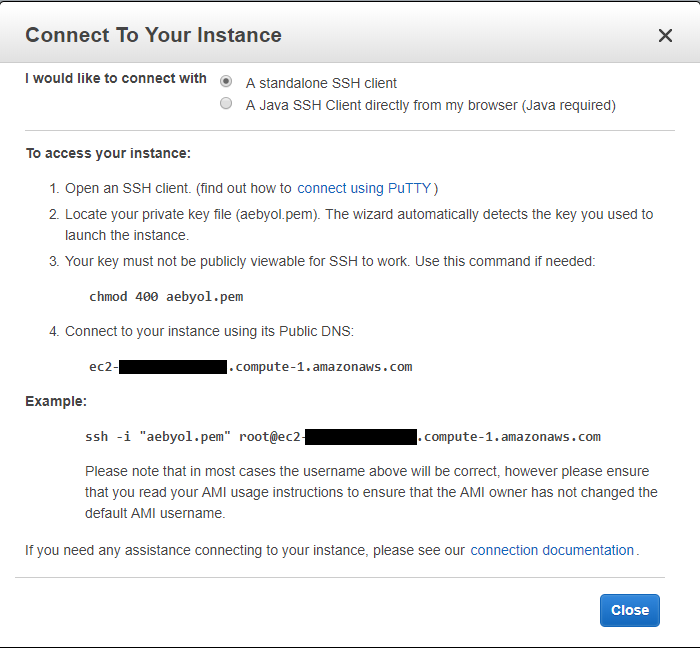 Alternatively, you can obtain your Public IP (IPv4) from your EC2 instance management console. Do not use your DNS.